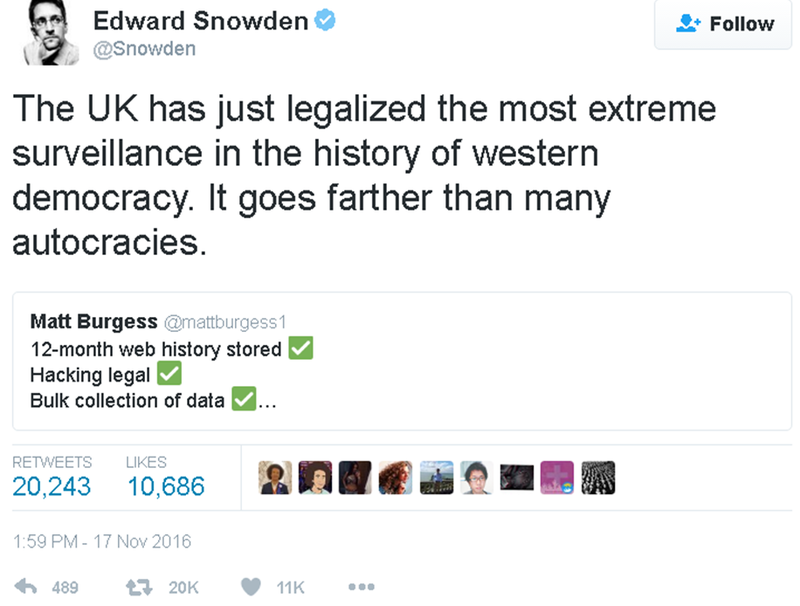 It's been described as the dawning of 'the most extreme surveillance in the history of Western democracy.' 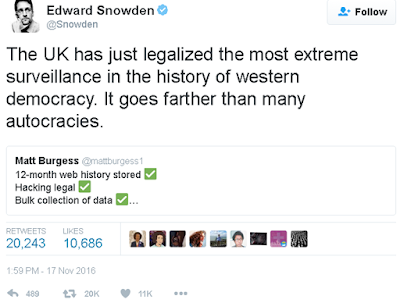 On Tuesday, the landmark Investigatory Powers Bill, also known as 'Snooper's Charter 2' for its affording the UK government unprecedented powers of surveillance over internet and communications data, became law after gaining royal assent; prompting a tsunami of criticism over the past 36 hours. According to the Independent, the government can now force internet companies 'to keep records on their users for up to a year,' and 'to hack into or break things [the companies have] sold so they can be spied on.' 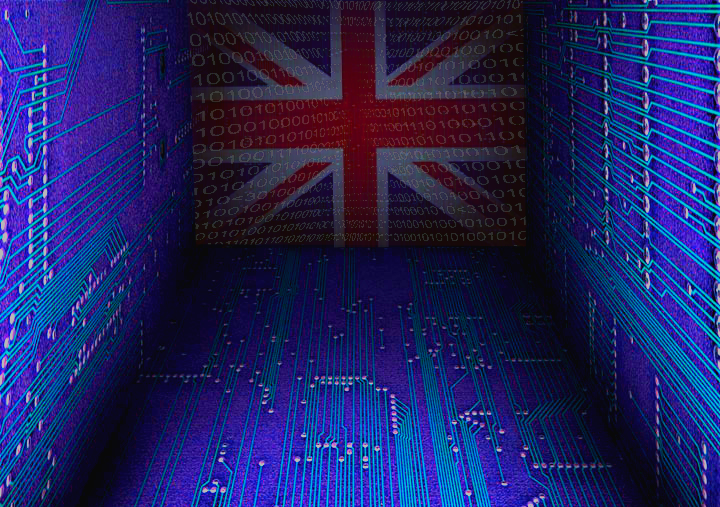 The government can now store in a database the web history of the entire population of Britain; and spies will be allowed to hack individuals, web infrastructure, and 'even whole towns,' some claim. But a wide spectrum of critics, from privacy campaigners to members of the public, the United Nations, and some huge technology companies including Apple, Facebook, Google, Microsoft, Yahoo and Twitter, have expressed outrage at the move. Meanwhile, various Labour Party politicians including Jeremy Corbyn and Shami Chakrabarty have been widely criticised for not leading a push-back against the bill. The new law, which considers the use of social networks and other modes of private electronic communications to be a 'problem' when it comes to upholding British internal security, will gradually reveal its effects over the coming months. For now, whilst government sources are celebrating its inauguration, it is clear that many critics are worried about the extended reach it affords the British state, and the precedent this will set for future law enforcement activities.